Summer being on the way is probably the reason I’ve had more than a few people asking my opinion on “diets” lately, everyone wants to lose a bit from “here and there” before donning beach attire. I totally understand why people get confused, calorie counting, low carb, low fat, paleo, primal, zone and even the grain diet (no kidding, apparently there is such a thing) ..
On a side note (if you watched the clip) – I actually think that the Americans he talks about are already eating the carbs he refers to. They are fat because they just eat too much in general and don’t move! Moving more has a HUGE impact on how much and what you can eat. 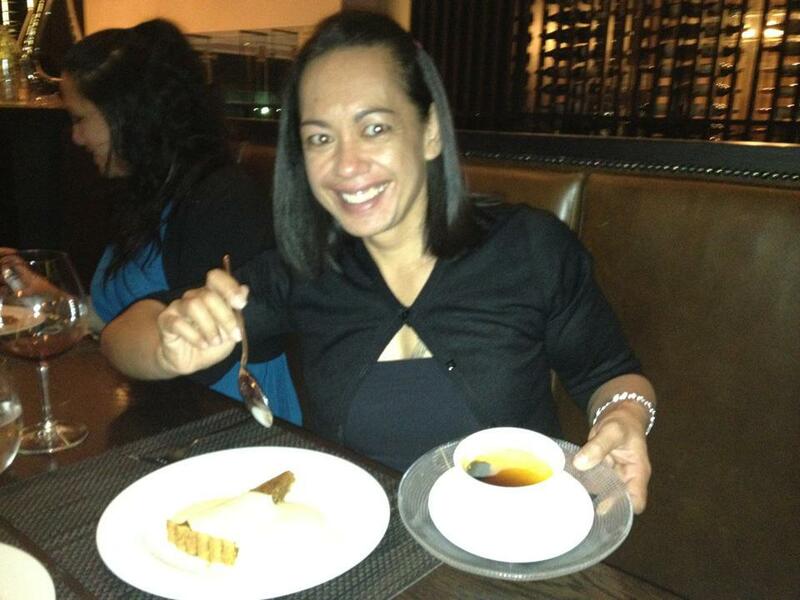 My friend Yumi is a testament to the fact that moving more affords you the luxury of eating what you want. She pretty much exists on lollies, chocolate and alcohol and she’s hawt as! 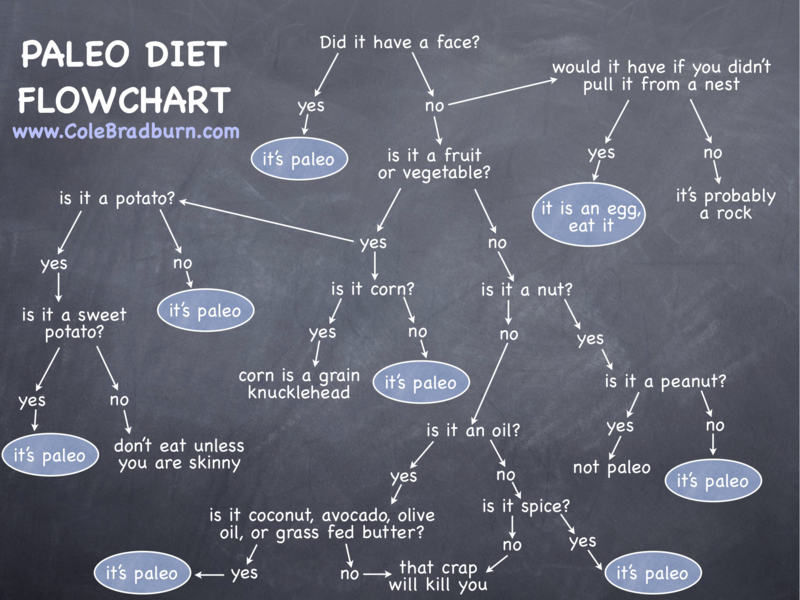 I’ve been on the paleo bandwagon since the CrossfitHPU DryJuly Paleo Challenge, for those of you who don’t know what Paleo is I’ll give you a quick run down. Dairy – (Coach suggested a dairy test, if your body tolerates dairy then go for it). I’ve gone from eating 6 times a day and being constantly hungry to eating 3 times a day and being satiated. My moods are much more stable and I no longer have cravings. During the CrossfitHPU Dry July paleo challenge I was 100% paleo, but upon the challenge conclusion I’ve followed the 80/20 rule which technically affords you 1.5 days “off”, some weeks I take the entire 1.5 days “off” and other weeks I’ll have a meal “off” and other weeks it’s as simple as having a choc top (with nuts) while I watch a movie, it just depends what I have going on that week. I don’t calorie count and I don’t obsess about every single macronutrient that I consume and the percentage of each. I also don’t label food. No matter what “diet” I follow I’ve never been one to deny myself. So there you have it – Paleo in any nut but a peanut shell. If you want more information on the topic, there are a tonne of “actual” resources out there on the web Marks Daily Apple seems to be the go-to for most people, whenever I’ve done any research on the topic Mark seems to be referred to often. If you’ve read this and think hmmmm paleo could be something I’d like to try and you want an easy way to get into the Paleo habit I can recommend Fit Me In or FeedMe, they both run a paleo meal delivery service and the latter make paleo treats. (nom – even James is a fan! ).